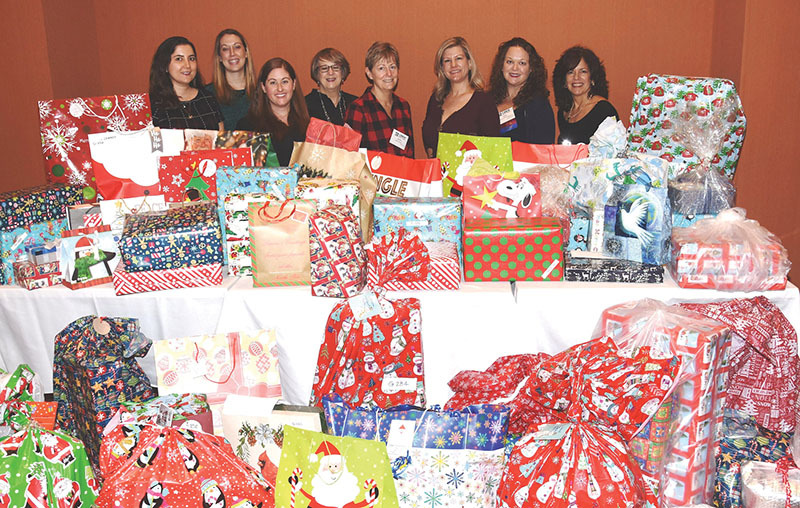 New York, NY Commercial Real Estate Women (CREW) New York held its last luncheon of 2018 featuring a panel program, awards and its annual Secret Santa initiative. “Transforming the Lower East Side: Essex Crossing” was the luncheon topic where experts from various aspects of the 1.9 million s/f urban renewal project shared their experiences of working with their companies and each other. Essex Crossing combines nine sites being brought together as a visionary development that includes retail, residential, office, community attractions and amenities such as green space. 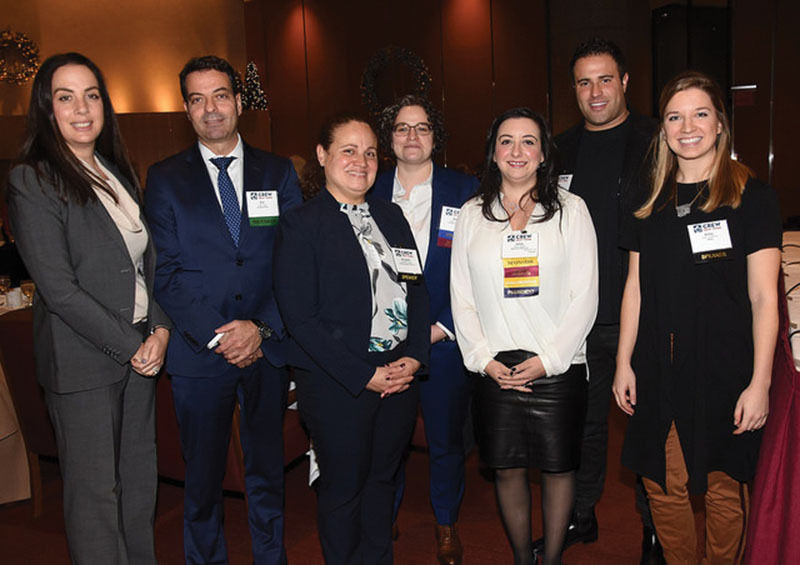 Panelists included Colleen Wenke, Taconic Investment Partners LLC; Ashley Schwemmer, West 8; Ari Zagdanski, Kinsman Property Group; and Bernadette Amarosa, L+M Development Partners Inc. Ariel Triosh, Douglas Elliman, served as moderator. Shown (from left) are: Barbara Champoux, Jennifer Carey and Jaimee Nardiello. 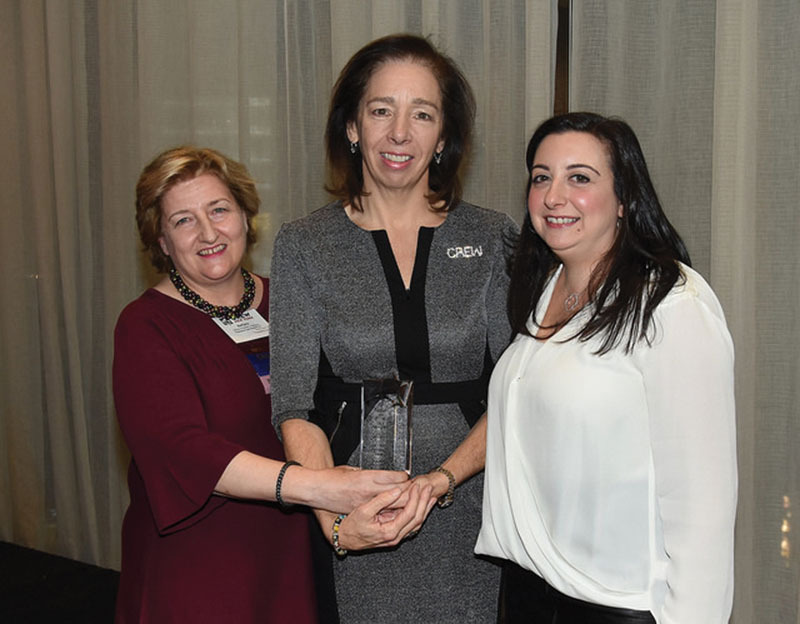 Jennifer Carey, principal of JLC Environmental Consultants was named CREWNY’s 2018 Star of the Year. 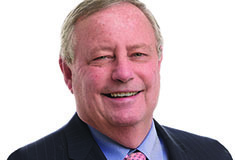 A past president of CREWNY, Carey also served on CREW Network’s board of directors as chair of the Foundation Committee and was named a Woman of Influence by Real Estate Forum. Shown (from left) are: Michael Vardaro, managing partner; Barbara Champoux; and Jaimee Nardiello, partner. 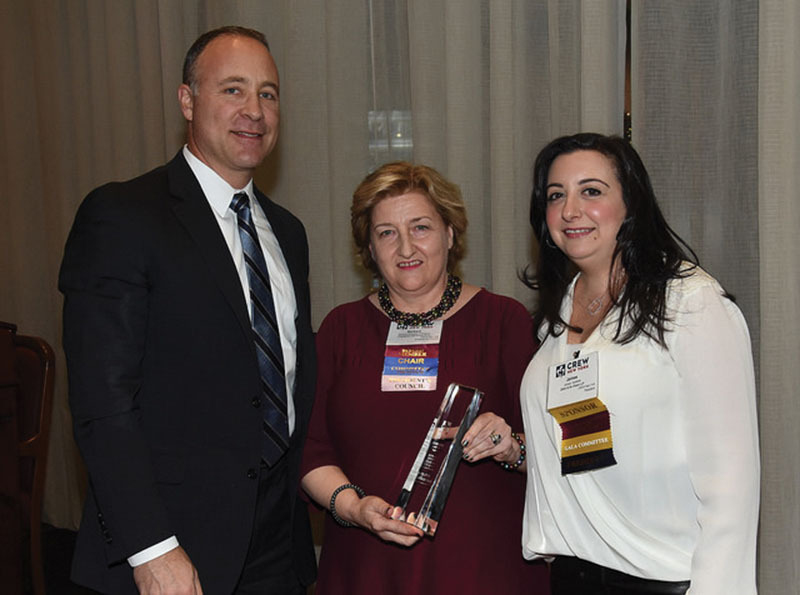 Zetlin & De Chiara LLP was the recipient of the 2018 Sponsor of the Year Award. Zetlin & De Chiara provides sophisticated legal representation and business counsel to some of the world’s most prominent real estate owners, developers, architects, engineers and contractors in all aspects of complex construction projects and disputes. The Foundation Committee of CREWNY once again collected gifts for children living in WIN (Women In Need) residences. The annual Secret Santa initiative, whereby children write letters to Santa that are distributed to CREWNY members to anonymously fulfill, provided 600 gifts for boys and girls. Cindy Boyea of Paramount Group organized this year’s drive. 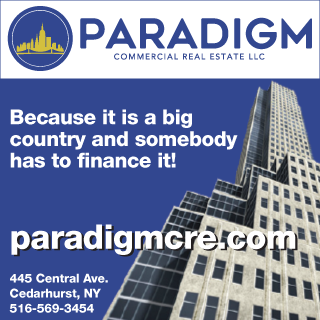 Katherine DeMercurio of Evergreene Architectural Arts, is chair of the Foundation Committee.